It’s a SONY (Ericsson w700i) !! With this new Mantra, I went about searching for phones which could “Do More”… I decided to jump onto the “Convergence” bandwagon and I badly wanted a device with which I could “do more with less!”… The obvious choice: (at the cost of sounding like I’m advertising the product!) 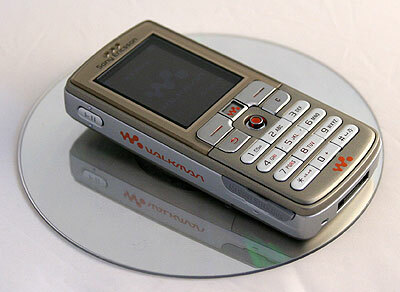 : The Sony Ericsson W700i. The fact that the music can continue playing while I SMS / use the organiser / even take Pictures with the cam! There were other walkman phones in the market yes.. The w550i (the one that opens with a swivel-motion) looked too flashy so it didnt go witht he person that I am! The w300i (clamshell) didnt have expandable memory. The w810i had auto-focus but the Black colour made it look like a Remote Control (Again, thats a personal opinion!). The w850i was beyond what my humble means could afford me. Obvious choice: Sony Ericsson w700i. For detailed specs, Click here! hey u come to know a lot about the various options available in the market for a given product! i had been thru a similar situation recently! i wrote a whole blog in comment i wonder. ha ha…..
Bingo pallavi!.. Keep blogging on my blog too! ;)..
Judith, Thanks for the links; they were very helpful. Are there any general disposition characteristics for Bengal cats? Comments from anyone that has experience will be appreciated. Previous Previous post: Dream or Nightmare? ?